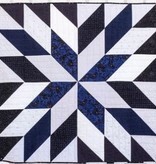 This sparkling star quilt comes in four sizes and is beautiful in solids or prints. 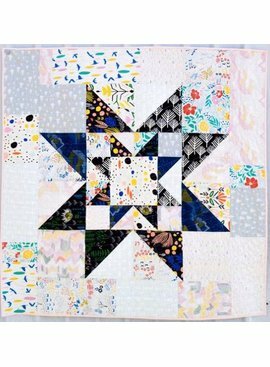 The Supernova quilt is made using a selection of ten fabrics. 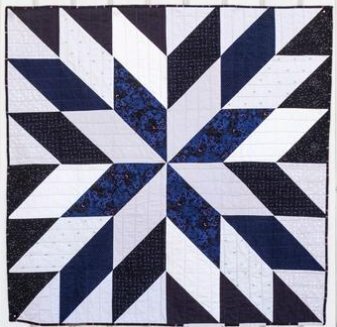 Choose five dark fabrics and five light fabrics for a high contrast star, or select five each of your two favorite coordinating colors to work with. 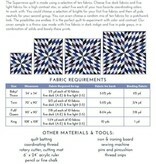 Fabric Requirements: All sizes require ten fabric choices--five each of two color groups. 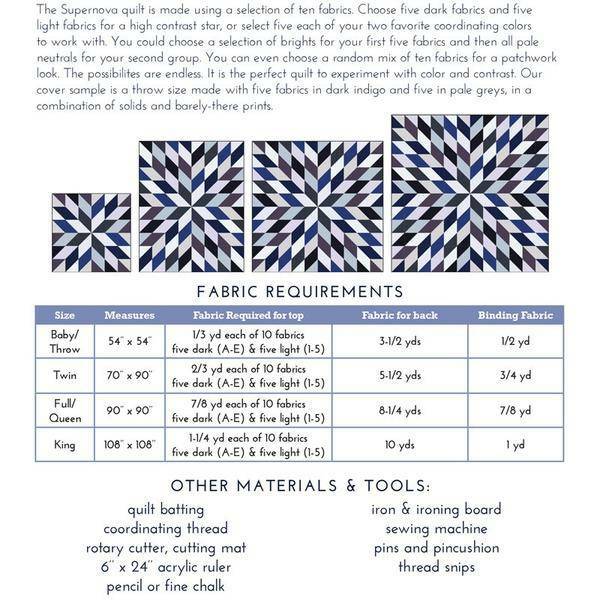 Sample uses five dark navy (fabrics A-E) and five light grey (fabrics 1-5).